The company is offering a community bar, dedicated offices, unique conference rooms and a wellness/meditation room. 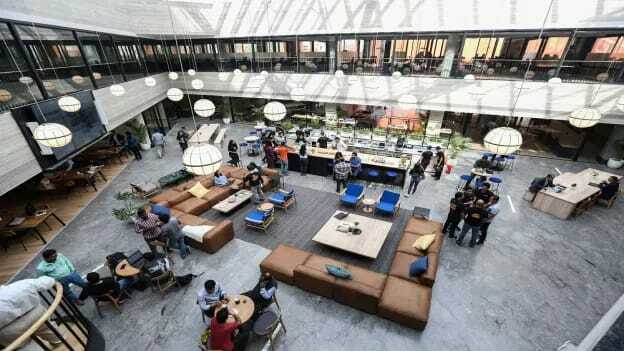 Space, community and services platform WeWork has announced the opening of its fifth location, in Mumbai earlier this month, and unveiled its sixth location, Salarpuria Magnificia, in Bengaluru today. To consolidate its presence in India, WeWork is experiencing rapid growth with new locations. The company is offering a community bar, dedicated offices, unique conference rooms and a wellness/meditation room. With the location being pet-friendly, it also boasts an energizing game room, outdoor areas and easy access to the Tin Factory bus stop that ensures daily hassle-free commute. The company is seeing constant shifts as well as growth in demand for workspaces industry, and the workforce doesn’t want to spend their time working in silos but are seeking greater interaction and collaboration. They want to work out of spaces that inspire them and help them connect and network with people.